Dogs Trust have a selection of dog friendly holiday homes perfect for Ballymena dog owners planning a holiday or staycation this summer. If you are a dog owner going on holiday isn’t an easy option unless you are happy to play for your dogs to be kept in a kennel or cared for by a friend or family member. If you are reluctant to leave your pets behind in Ballymena, or it wouldn’t feel like a holiday without them, then it might be worth investigating some getaways where you can take your dog along. 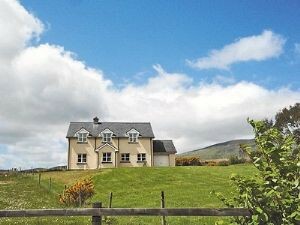 The Dogs Trust have over 250 holiday homes in Ireland which you can have a look at. Since they are all located in Ireland you can get you pets and all their treats, toys and stuff packed into the car and take a road trip to your holiday destination. Dog friendly holiday homes are also available in England, Scotland and Wales on the Dogs Trust Website. 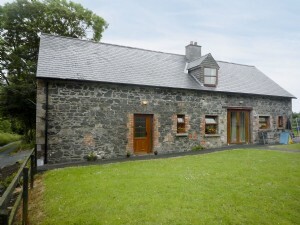 We especially love the look of this detached house in Dingle, and the old stone Granary in Co. Cavan. To find out more about dog friendly holiday homes in Ireland and further afield click here to visit the Dogs Trust website. Never leave your dog alone in the car – even if it seems cool outside it can become very hot very quickly. Parking in the shade and / or keeping the windows down does not make it safe! Dogs Trust advises that owners shouldn’t allow their dog to hang their head out of the window whilst they are moving as this could be potentially dangerous for the dog, and distracting for the owner. With this great advice from the Dogs Trust and pet friendly holiday homes just a click away there is nothing to stop you from taking your dog from Ballymena on holiday this summer.